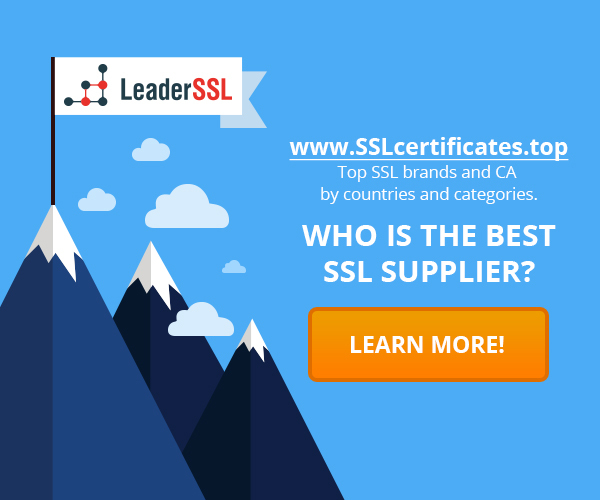 Home › What is an SSL-Certificate › Do I need SSL-certificate for my business or my site? Do I need SSL-certificate for my business or my site? Should I use an SSL-certificate to protect website or business? Many people have asked about this. Companies must ensure that all transactions will be protected. A great way to do this – use SSL-certificate. Why do you want to use SSL-certificates? Typically, customers go to the site in search of information, as well as products and services. Most often, these people do not want to waste time trying to figure out whether your business is protected or not. In order to customers have not experienced doubt about legitimacy of the business, you can use SSL-certificates from known providers. Using digital certificates, your business website will be listed as protected. At the same time your customers know that you will get high-quality and real service. This will lead to contentment and tranquility, since the customers will know that their needs are fully satisfied. So, how does the SSL-certificate helps ensure site protection? When a customer comes to your site, it sends a request to the server, which is responsible for the safety of your page. In turn, the server transmits information to the browser and it’s the two objects involved in the secure communication. Why is it important? Customers are likely to already know about online crime, and they do not want to waste their time and money due to the unprotected site. By installing the appropriate SSL-certificate you will radiate confidence and certainty that will affect the expansion of the user base. E-commerce. Commercial sites often work with credit cards and valuable information, such as shipping address, social data, etc. All of this information must always be protected using SSL-certificate. Web-based accounts. If your company has encouraged the creation of accounts that are protected by a password, you need to deploy the SSL-certificate to protect online activity. Financial Information. Naturally, banks and financial institutions should always deploy SSL-certificates, and other companies related to finance, should do it. Valuable information must always be protected online. Health services. In addition to providing privacy of patients, medical services and professionals must make sure that all the information relating to the health of the patient, will be processed based on confidentiality. SSL is useful for companies that work with large volumes of sensitive information within the company. If you are using any of these sites, be sure to check whether you have the SSL-certificate, and if not, install it on your website.